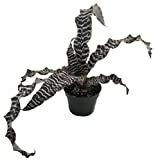 Cryptanthus bivittatus growing leaf plant bromeliads of the genus Cryptanthus also known as Starfish Plant or Earth Star, Cryptanthus bivittatus perennial evergreen used as ornamental plant, can grow in subtropics, mediterranean, tropic climate or as houseplant and growing in hardiness zone 10+. 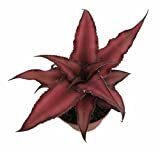 Leaves color can be: green, pink, red, orange, purple, white, yellow, can be more than one color, with darker line in the middle, leaf linear and sharp in the edge, leaves grow in rosette structure. 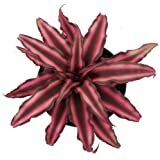 Flower color green or white, the flowers grow in the inner part of the plant in crown structure. 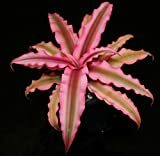 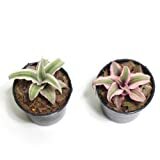 Striped beauty Cryptanthus bivittatus Pink Starlite 2pcs by Joinflower Joinfolia.